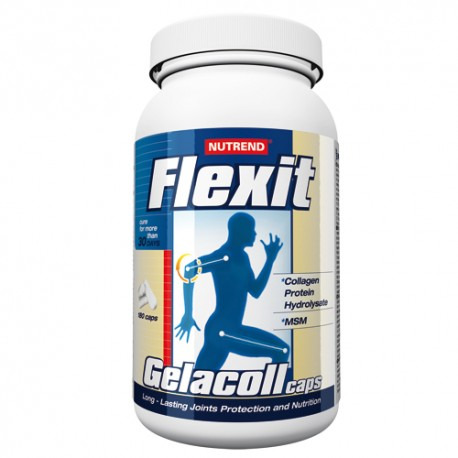 Return to Home > Gewrichtsbescherming>Nutrend - Flexit gellacol 360 caps. Gelatin capsules containing a highly effective concentrated hydrolyzate of gelatin (97% collagen protein) and MSM. Collagen protein (gelatin hydrolyzate) - source of a wide range of amino acids and peptides which cooperate in the creation of collagen, which is necessary for proper development, maintenance and protection of the cartilage of joints, quality of hair, skin and nails. The product contains only 97% enzymatically split hydrolysed gelatin with high biological value. 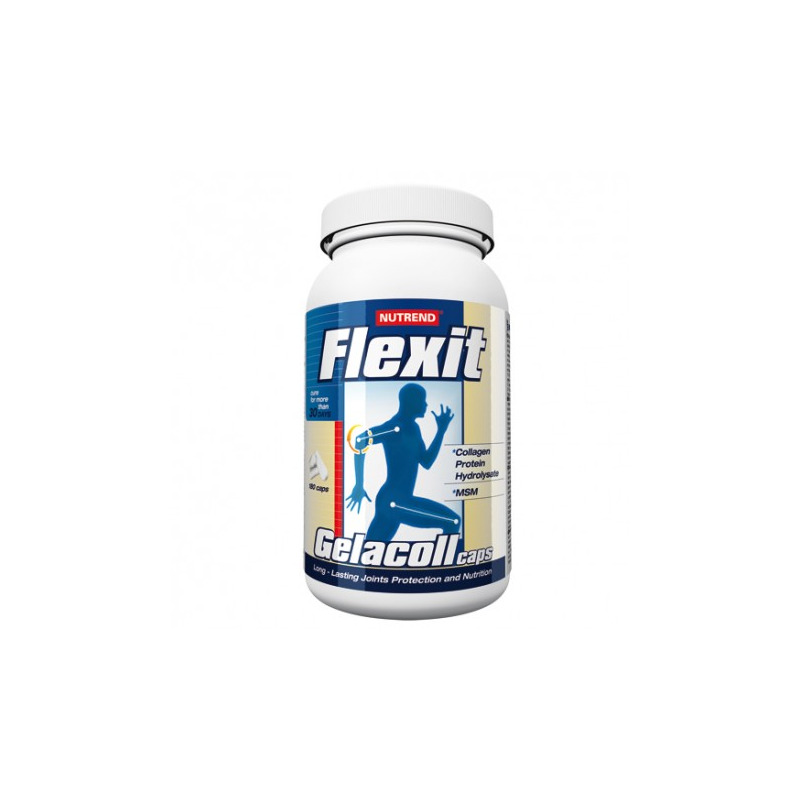 Unlike the non-hydrolysed proteins which the body has to hydrolyse (break down) in the digestive tract, is the prepared gelatin hydrolyzate highly functional, immediately usable and easily digestible. MSM (methylsulfonylmethane) - is an organic sulfur compound, which is commonly present in the human body. It participates in the formation of collagen tissue structure. Due to its antioxidant activity it helps to prevent cartilage damage caused by free radicals, and it also helps to eliminate pain. The sulfur in MSM helps to form the essential amino acids methionine and cysteine. The recommended dose: 4-6 capsules daily divided between meals until the consumption of one package. In sports, overweight and in the case of more serious damage to joints and connective tissue, in poor condition of hair and nails: 8 capsules daily between meals. According to the recommended dosage, swallow capsules with a sufficient amount of sports drinks (e.g. UniSport). Alcoholic beverages and milk are not suitable. Do not spill out or chew the capsules! Store at a temperature of 10-25 °C and use within 3 months after opening.